Have you ever wondered what type of misshape you are? 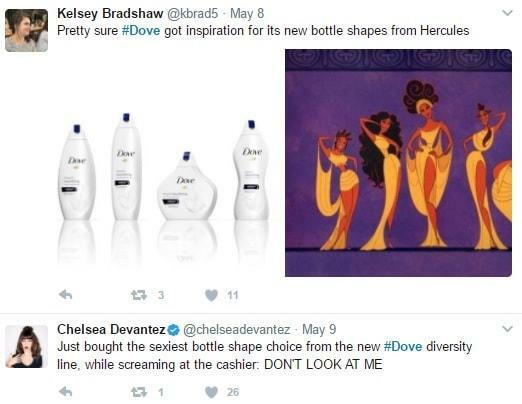 No, we’re not talking about chocolate – we’re talking about Dove’s latest marketing campaign that has sparked outrage and confusion. 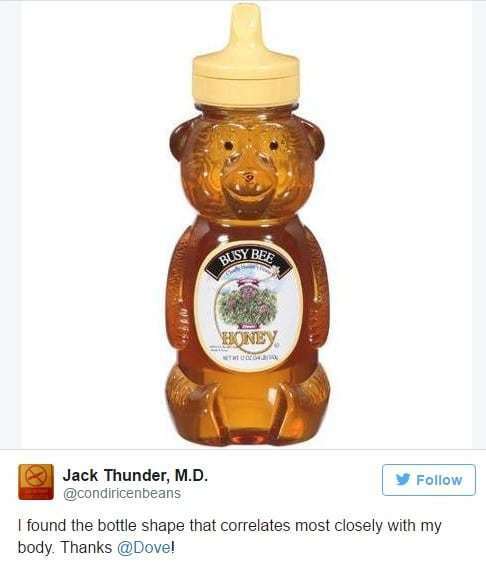 The brand has taken its concept of Real Beauty and designed six differently shaped bottles that are meant to mimic the shape of its female customers and make women feel good about themselves. Looking at the line up, we couldn’t quite decide which awkwardly shaped piece of plastic best represented our bodies. Short and fat, or tall with a nipped in waist and rugby player shoulders? As you can imagine, it was a tough decision. Every girl’s dream is to stand in the toiletry aisle deliberating over their rotund hips or lanky legs, isn’t it? We took @condiricenbeans comical approach, although not everyone felt the same. Despite Dove’s good intentions, this campaign just hasn’t shaped up – proving that what works as a concept doesn’t always work in the flesh. 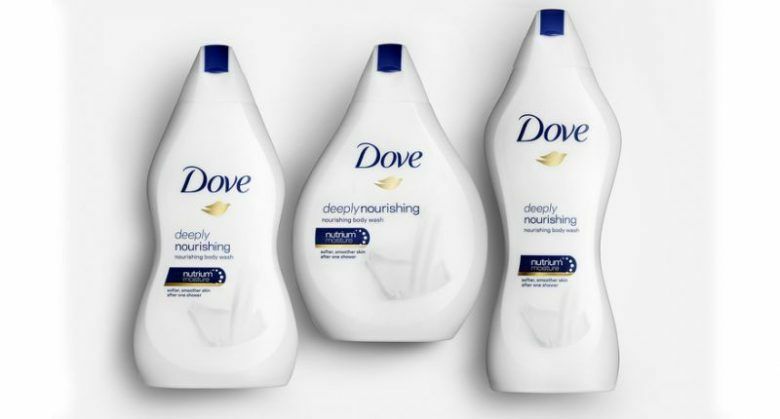 Hopefully this has just been a blip in Dove’s usual strategy, and it will revert back to producing the aspirational and emotive marketing that it is known and respected for.